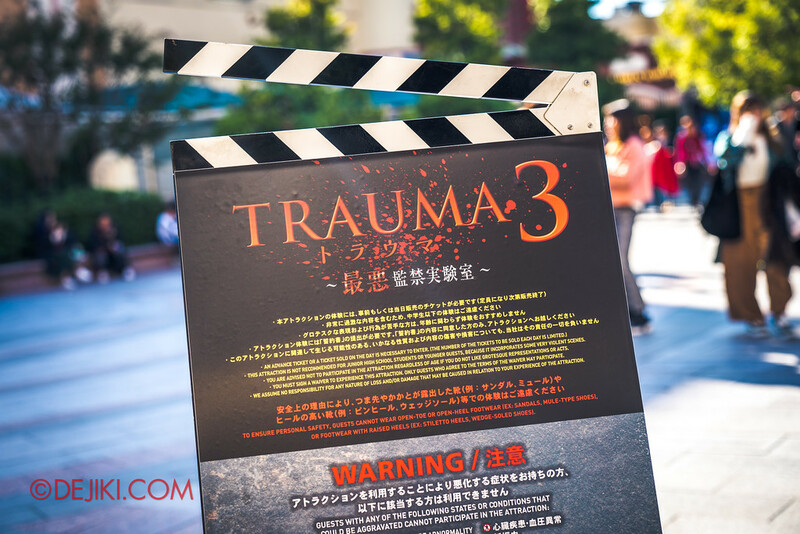 Check out TRAUMA 3 and other Universal Studios Japan haunting attractions at their 2017 Halloween Horror Nights. 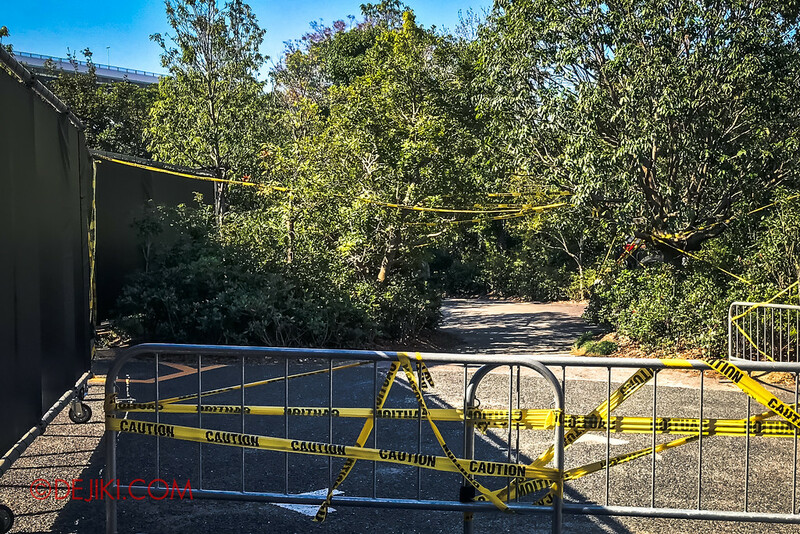 Halloween 2017 is long over, but I’m writing to share about Universal Studios Japan’s Universal Surprise Halloween event, to offer HHN fans in other regions a glimpse of how Japan does things different. 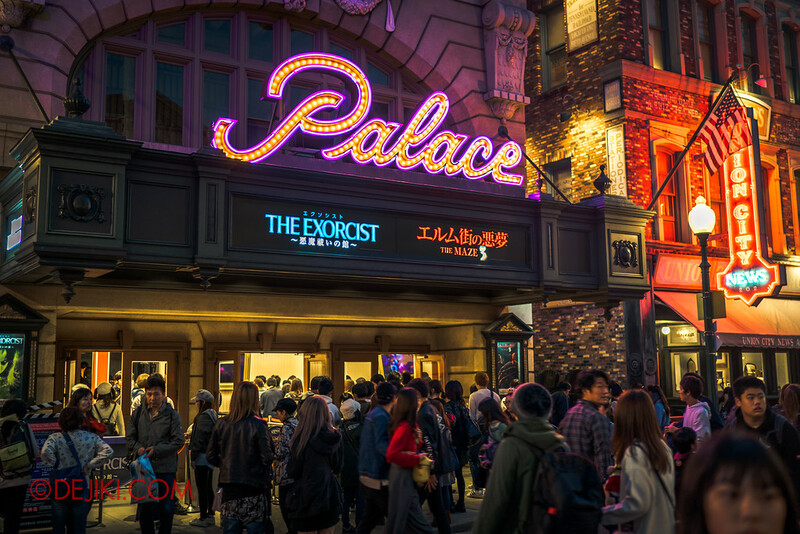 Maybe this will make you feel excited to travel to USJ next year for Halloween – because I would. 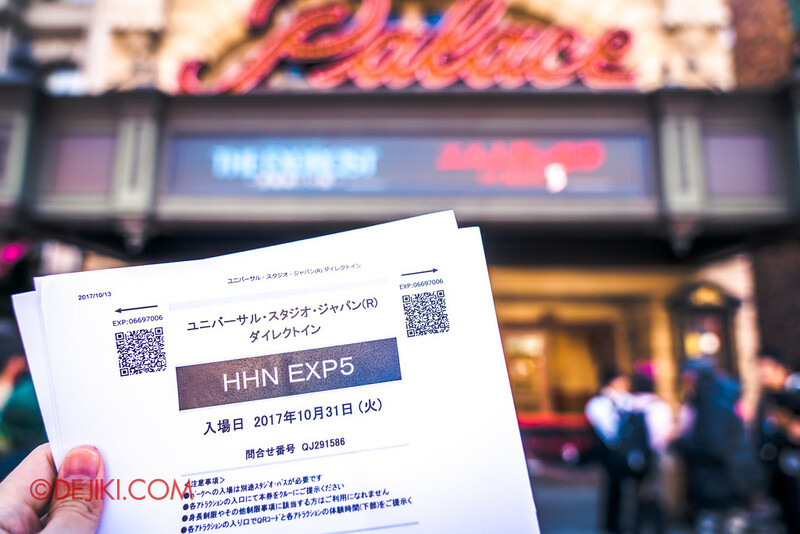 Perhaps in 2018, I will start HHN coverage from Japan first. 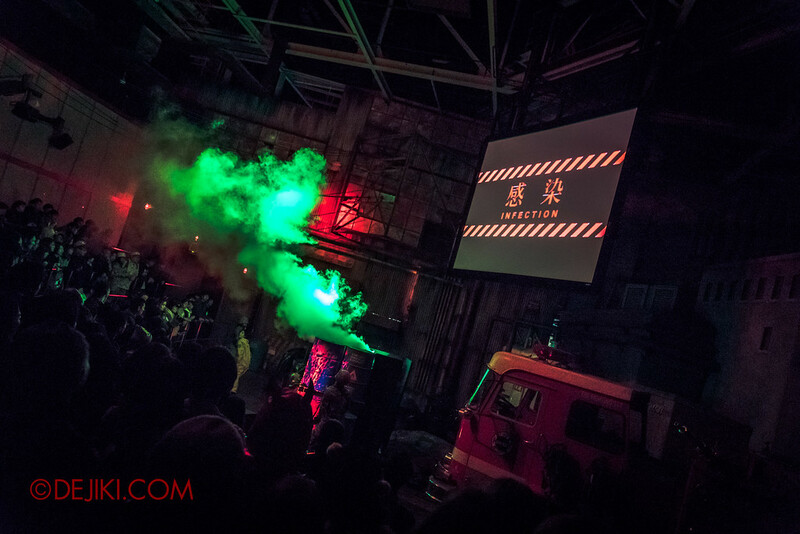 Halloween Horror Nights (or sometimes, Night) is part of the Surprise Halloween line-up. Unlike in USS, these haunt attractions start opening their doors as early as 10am, and the park progressively starts more attractions later in the day. At dusk, the park transforms into a zombie-infested playground – more on that in another post. 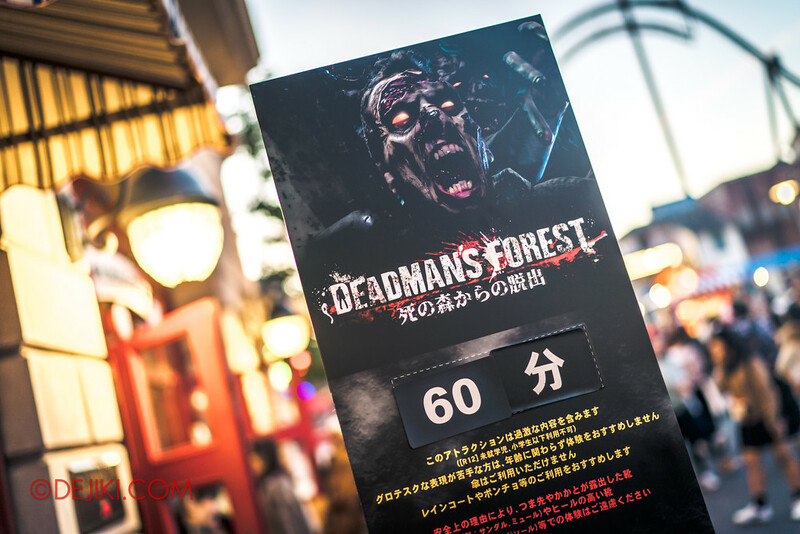 Simulating a zombie outbreak scenario, Deadman’s Forest is an outdoor haunt attraction that takes place in the day and night. The usual Backdraft attraction building is now taken over by soldiers. As we walk inside the fire station, ‘breaking news’ pre-shows and by military briefings in the enclosed warehouse set the mood and backstory… and it unfortunately gets interrupted by zombies breaking in. After this dramatic encounter (which had an interesting use of projections on performers and the set), we were told to evacuate through the forest to a decontamination room. The ‘forest’ is so clean and beautifully sculpted that it feels more like a garden. The zombie performers were good, chasing guests down different paths, and intentionally splitting them up. Anyway, the paths all lead to a ‘climax’ scenario, with several identical scenes running in parallel for optimal capacity. 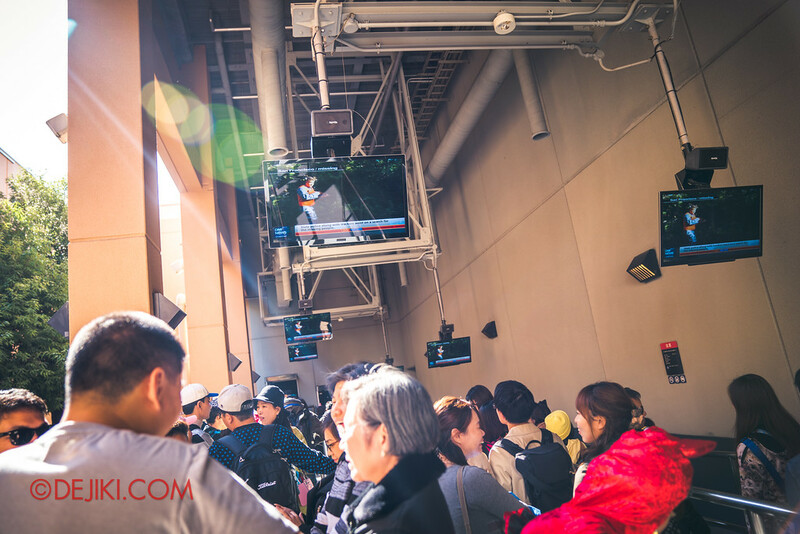 Photography is actually not allowed in the any parts of the attractions (the pre-shows too, but well…) for good reason. This park loves to use water all over, and this attraction has the most extensive use of water effects. Depending on your luck, you will encounter slightly different endings – some of the decontamination rooms are sabotaged, ensuring that there is no escape… from water blasts in close quarters. 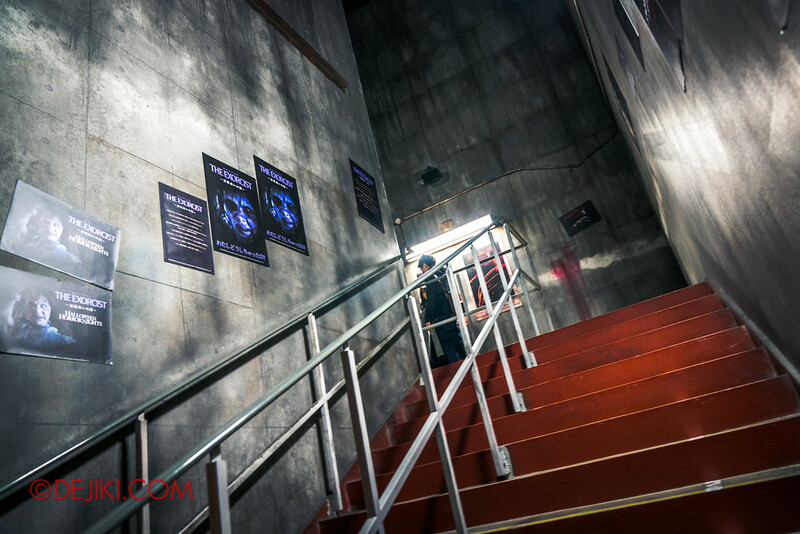 At the upper level of the ‘Palace Theater’ soundstage is where two haunting mazes lurk. Interestingly, they have the space to build two attractions next to each other, sharing the same entrances, queue lines and exits running in parallel. We are all too familiar with the endless slow-moving line of people crammed up in Singapore’s houses. For these two mazes in Japan, guests are precisely grouped and dispatched into the mazes with sufficient delay after the previous group. Everyone has to hold on to a white “rope”, making the 6-8 guests straddle as one awkward blob. With this arrangement, every group will feel as if they’re by themselves in the mazes (and it really does), and get to see all the elaborately orchestrated scares. They don’t even need uniformed crew members inside to keep watch, and there are no nettings over the props. That made for a more realistic experience. 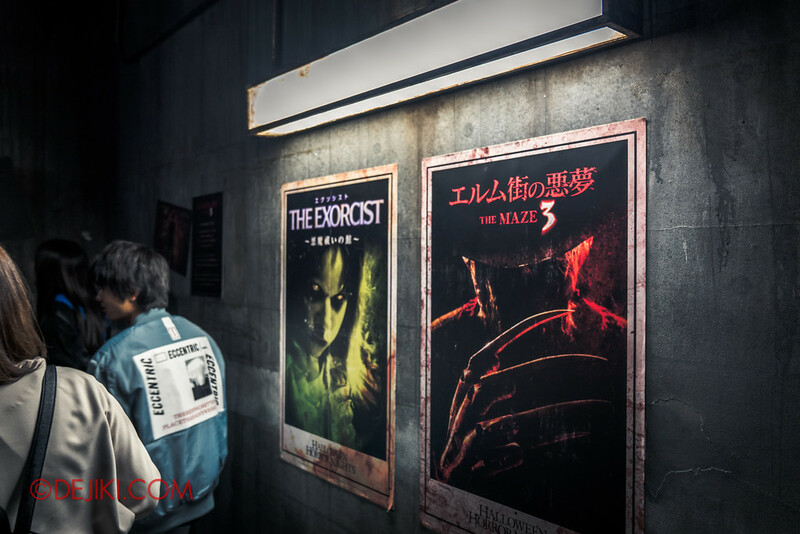 Even though both films are horror “classics”, the mazes feel high-tech and very immersive. There’s the usual high-tech touch, with complex back projections and several tricks combining visuals and surround audio, often leading to a physical scare performance. The refined productions hint that the effects and set design weren’t novel or groundbreaking; instead fulfilling the high standards of USJ. Both mazes were returning from past productions after all, so they had the chance to restage and improve. Iconic scenes from these classic horror flicks come alive – and almost felt too real. You’ll see Regan become increasingly possessed by the demon Pazuzu. Freddy jumps out from numerous hiding spots and scenes from the high school. 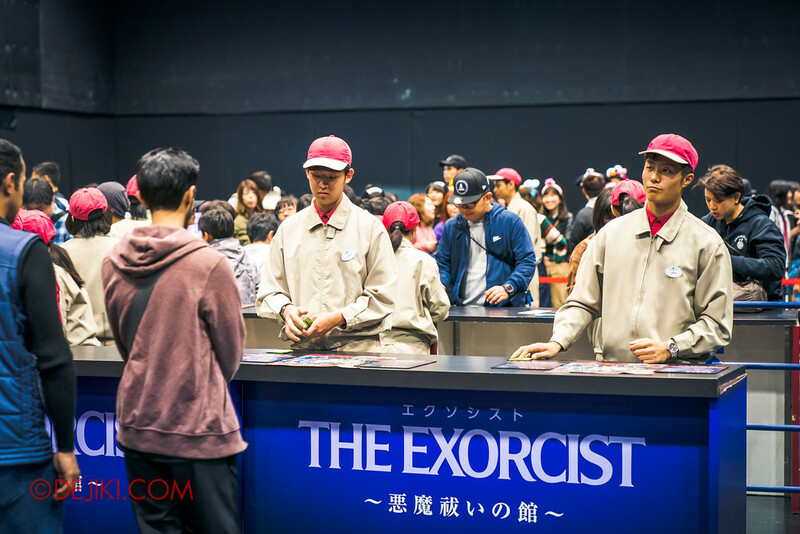 In Exorcist, there’s even an interactive scene where the lucky guest at the back will get to fling a vial of holy water – to catastrophic results. Freddy just chases us from scene to scene – and there are cool multimedia effects creating the illusions that Freddy could just appear anywhere, anytime. 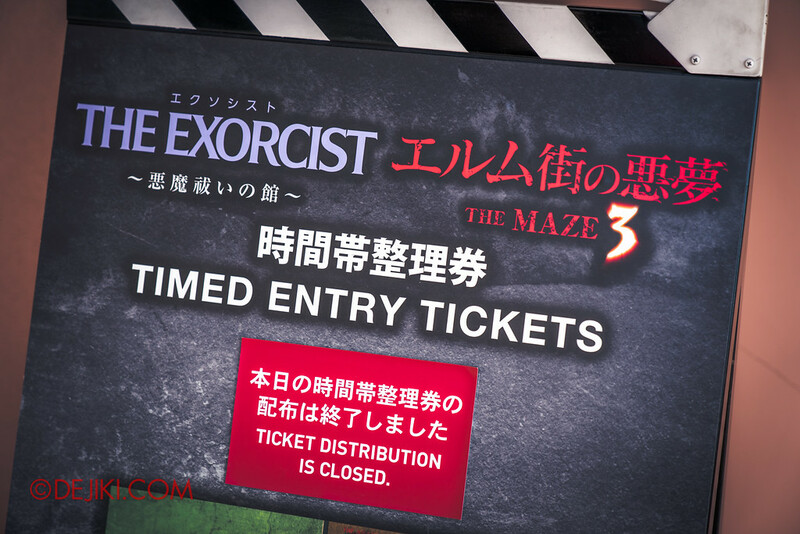 Timed entry ticket or express passes are required to experience these two haunted houses, likely because they have very low capacity and the queue areas are surprisingly tiny. For those visiting in the morning, visit Stage 22 and queue up for timed entry tickets. 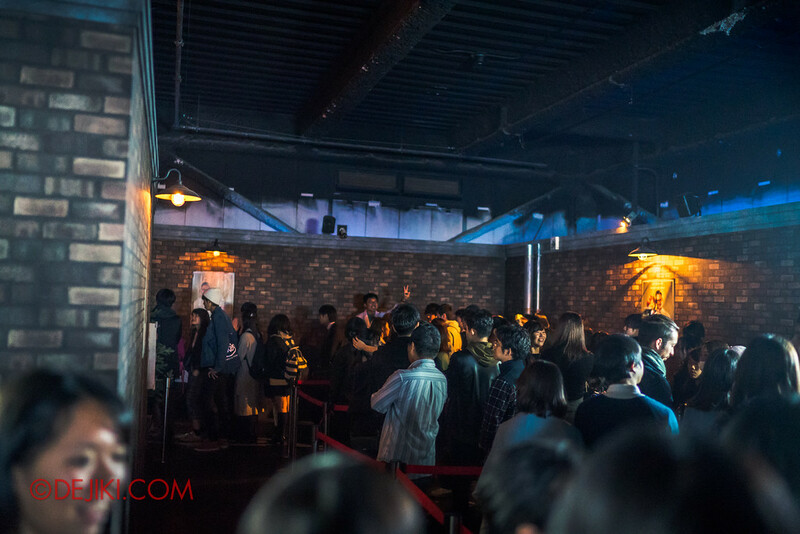 Everyone in your party will need to be present at the distribution point, and no taking tickets on behalf of others – basically just queue together. Once you reach the end of the line, just let the park crew know how many people are in your group. The crew at the counter will give you the exact number of tickets for your group. You can’t choose the timings, and the park crew doesn’t entertain any requests for alternative timings. I checked and apparently it’s still alright if you arrive later than the designated time (not several hours late of course). According to the signs, each guest is entitled to only one ticket. There are no park ticket checks or anything, so you can queue again – discreetly – and take again if the tickets don’t run out. It’s a Singaporean thing – might as well take one more if they’re available. If the Ticketing Distribution has ended, you’re out of luck if you plan to clear these two attractions in the day. Another option is to get Express Passes at the park if they’re available at the park. Or save yourself from that trouble and gamble with an easier way: through Klook online, which is what I did for my trip. The Express Passes will be emailed to you within a day from Klook, and you can always access it again through Klook’s mobile App. 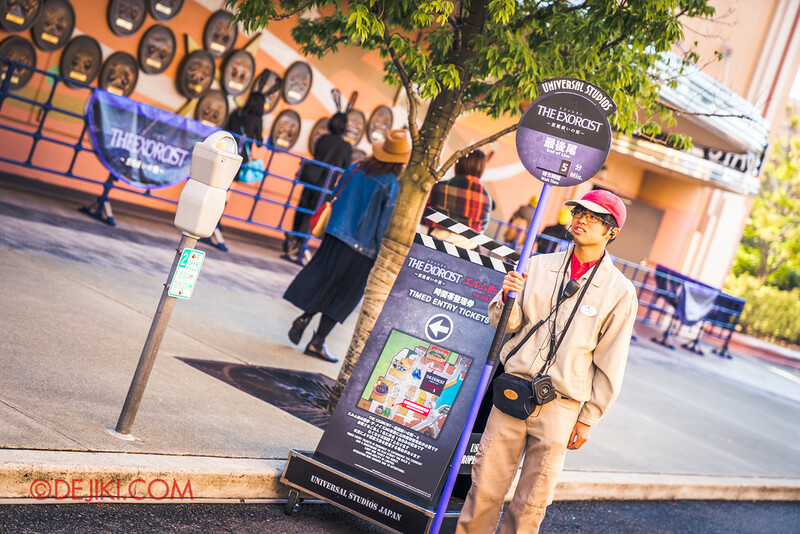 Unlike typical Express Passes that we’re used to in Singapore, USJ’s Halloween Express entry timings are pre-set. This means that your day’s itinerary is running on this timetable (one attraction per hour) – you can thank USJ for helping you out there. Alternatively, you can try to join the lines at night when the queues are open to all – they will be long, but it will be your only option without Timed Entry Tickets or Express Passes. 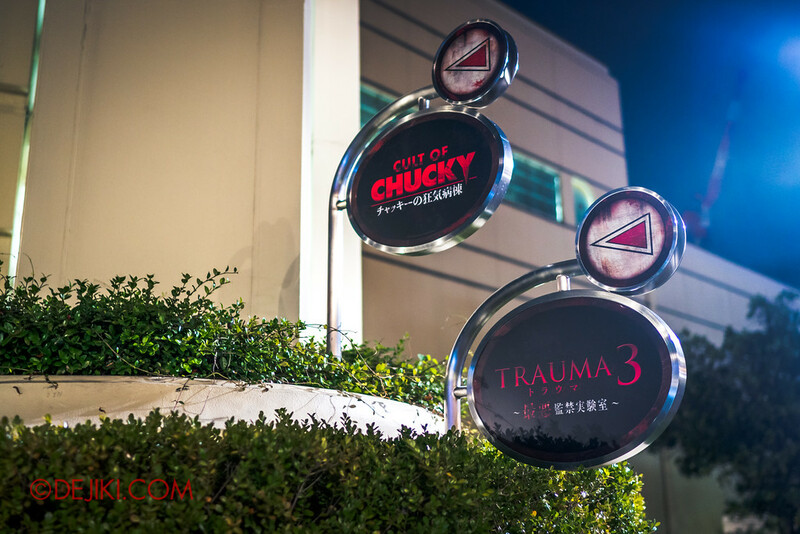 Chucky’s haunted maze, inspired by the new Cult of Chucky film, is massive. 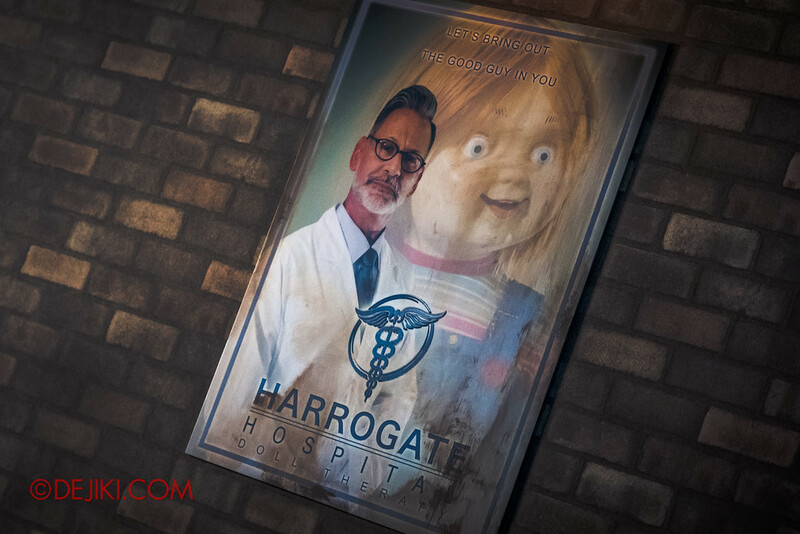 The whole experience takes place within the Harrogate Hospital, where Good Guy dolls were used for some sort of therapy. A delivery van, crammed with boxed Good Guy dolls (several torn), greets us at the entrance of the hospital. Well, this is not going to end well. 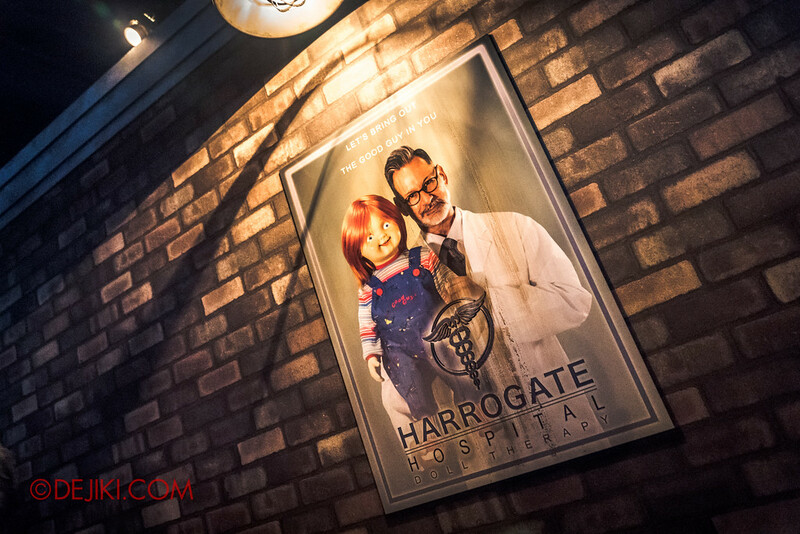 Throughout the walk through Harrogate, Chucky bursts out from windows, walls, curtains, often with a hospital staff at knifepoint. The size of the whole installation made some interesting scares possible – there’s enough space for complicated setup of distractions, and generally, the atmosphere feels much better when you’re not pushed against some walls. The most fun part of the maze is the finale – we were stopped by a doctor who told us to escape through a padded cell. That already sounds like a bad idea. We have to hurry and run down the corridor, only to find that it’s a dead end. Right behind us? Chucky running to get us! As we panic, a mountain of Chucky dolls erupt from the wall in front. It was madness. Fortunately a side wall pushes away for us to escape. That last scene was really intense. 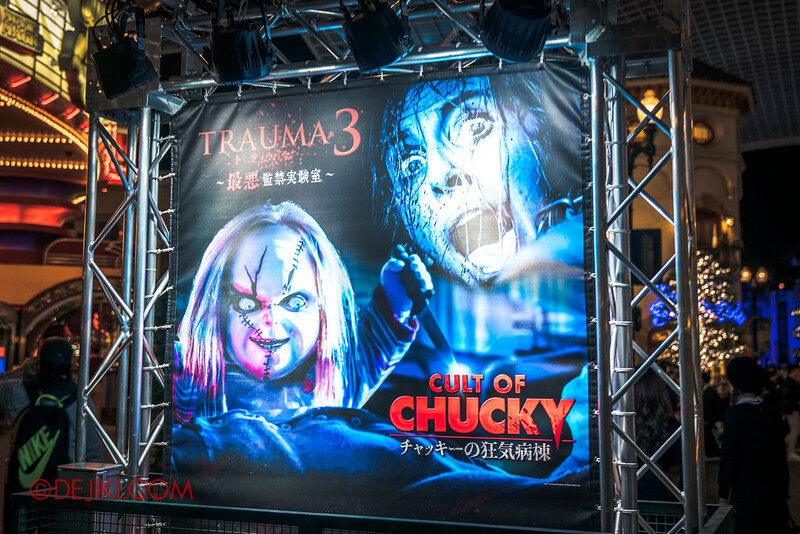 Now, for the real star of Japan’s Halloween Horror Nights. 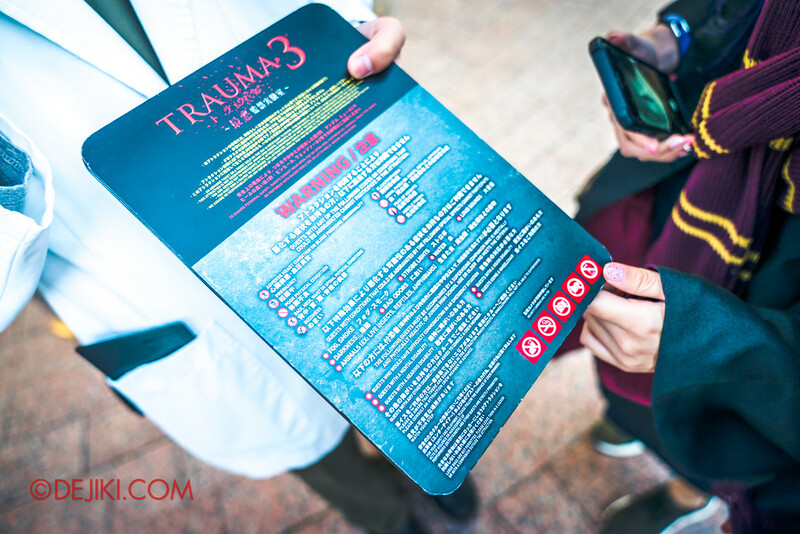 You won’t find any detailed info about TRAUMA 3 online, because the park makes everyone sign a Pledge, which is a Waiver (prevent guests from claiming damages from the park operators) that also makes participants promise not to share anything about it. Since the event is long over, and the experience was so incredible, I must write about it for posterity sake and other parks’ reference. So what is this TRAUMA? 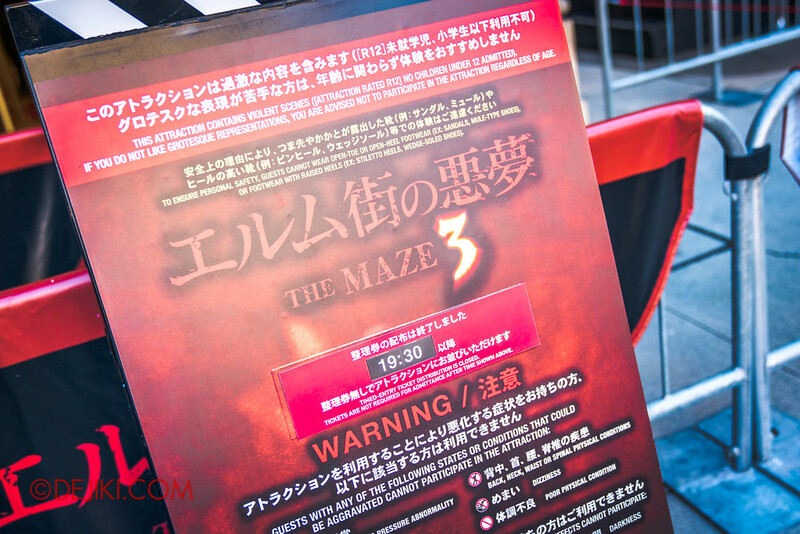 USJ describes calls it a forced interactive maze. We are to become interns at this mysterious research lab, where the Prison Lab Director is attempting to advance The Human Evolution. You don’t just walk from room to room in this terrible prison lab. You will be ordered to do things – scary things.. gross things.. shocking things. This is still Universal, a world-class theme park, so things can’t be that bad.. right? Well, let’s just say that some people had to give up halfway. 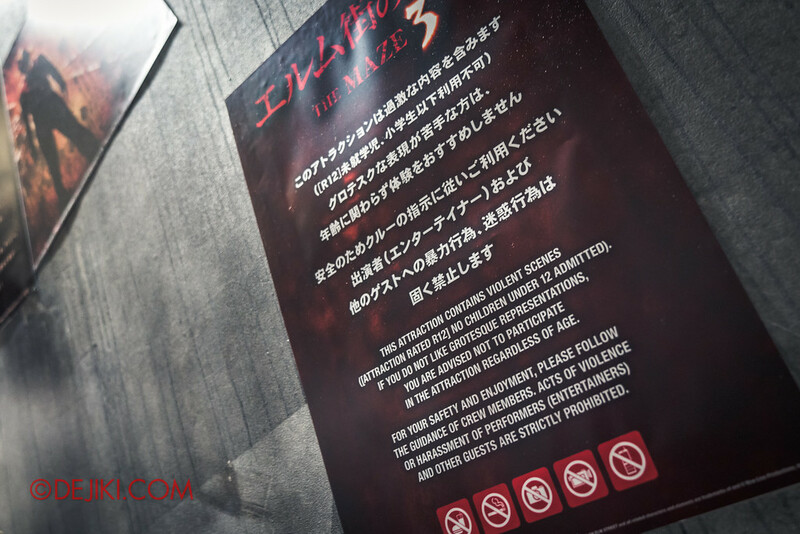 Rated at Level 10 of the Horror Scale, the whole experience lasted some 35 minutes and is the longest attraction in USJ so far. It took place within a multi-storey studio complex which has transformed into a hospital. There were many winding hallways, jump scares, shocking twists that would make you bolt down corridors – and situations where the group will be broken up. Can you survive on your own? The experience is well worth the add-on ticket (about S$42+ per person) because of its duration, intensity of the scares/ excitement, and also the whole drama of the lab. TRAUMA’s sets are well-designed and kept very tidy – which is probably why some parts didn’t feel as realistic. Perhaps due to regulations (like video games), some depictions of violence and horror can’t be too real. TRAUMA will make you feel that you’re never in control. With the constant twists and psychological horror tricks, it kept my group on our toes the whole time. Certainly a horror attraction like no other in a Universal theme park. Who knows what TRAUMA 4 will be like in 2018. 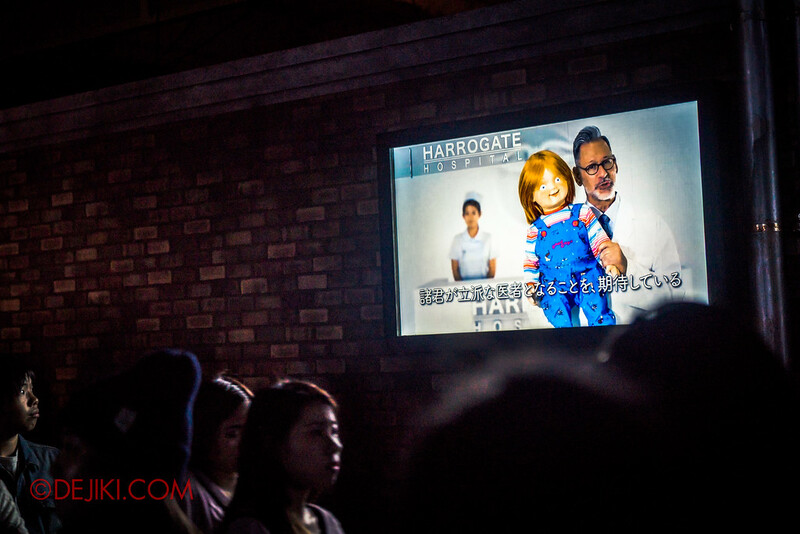 In the next post, we will look at the park-wide scare zone that is unique to Universal Studios Japan. Disclosure: Klook sponsored Dejiki.com with USJ Admission and Express Passes for the 2017 Halloween Trip.